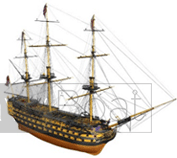 With over 20 years of experience in crafting the highest quality scale models, we offer over 300 unique, handmade ship models including historic tall ships, classic boats, cruise ships, warships and more. Each of our handmade model ships is crafted by our master artisans over hundreds of hours, using select kiln-dried woods and real metal fittings and goes through a rigorous quality control process before we ship them to you. Your satisfaction is our top priority so along with museum quality models and most affordable prices in the US we also offer 100% satisfaction guarantee so you can rest assured that you are getting the best model for the best price. Our job doesn’t end when your ship model arrives, we are here for you long after your purchase to answer any questions you have on the care and display of your new ship. You can reach us by phone or email by visiting our Contact page and we will get back to you within 24 hours. Thank you for choosing SavyBoat!